When the parents of young children divorce, many friends and family members attempt to offer well-meaning advice about the child support and custody negotiations the parents will face. Although these people frequently give advice to show they care, it also means that myths about child custody in New York abound. Forty years ago, courts tended to assume that children were always better off with their mother – but times have changed. Today, the goal of New York family law courts is to keep both parents involved in the child’s life as much as possible. Joint or shared custody arrangements and ample visitation are real options in many custody situations. 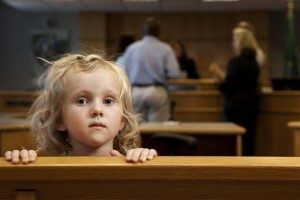 The preference of older children can certainly be considered in a child custody negotiation. However, New York courts do not award custody to one parent or the other solely because the child says they want to live with that parent. The court strives to create an arrangement that is in the “best interests of the child” – which, as every parent knows, doesn’t always mean giving the child what they want. New York courts see child custody and child support as separate (but related) issues. A parent who isn’t paying child support on time still has the right to keep to the visitation schedule – and the other parent may not withhold visitation if child support isn’t paid. Working with an experienced Long Island child custody lawyer at the Law Offices of Paul A. Boronow, PC can help you avoid some of the biggest pitfalls and develop a custody arrangement that works for you and your child. Call (516) 227-5353 for a free consultation.